Giuseppe Verdi. Very Good. In very good packaging. 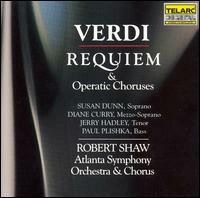 Verdi: Requiem & Operatic Choruses. Very Good. 089408015229 Very light wear to disc. Case and artwork included but clearly used; may not include online digital copy. We ship in recyclable American-made mailers. 100% money-back guarantee on all orders.